It was a busy December! I was happy to be interviewed by the cutting edge magazine Domino about my thoughts on CBD for massage. Happily and 2018 Farm Bill has since passed and hemp-derived CBD is legal in all 50 states. Anecdotal evidence and the few-and-far-between studies that have been conducted point towards tension-relief as a key effect CBD can have on muscles—but the benefits don’t end there. An endocannabinoid system in the skin, as board-certified dermatologist Dr. Jeanette Jacknin explains, has receptors for cannabinoids like CBD. When the receptors pair up with cannabinoids, they work to decrease inflammation (like acne, psoriasis, and eczema) through immune pathways. “A lot of these studies have been in mice,” she explains. “Few have been on humans, because research hasn’t been readily available in the United States because of legislation.” With her background in dermatology and holistic medicine, Dr. Jacknin first gained an interest in studying the superficial skin benefits of CBD when she saw the effectiveness that CBD patches and salves had on her own ankle pain. The true legality of CBD is the tricky part: it’s made in the U.S. from hemp (a non-psychoactive plant that cannot give consumers a high), but for the past 50 years, U.S. legislation has looped the entire Cannabis genus (including both hemp and marijuana) together as a Schedule I federally controlled substance. If a 2018 farming bill passes, however, hemp could become totally legal and therefore much more available for clinical studies—as well as new product innovation. It can be tempting, easy even, to denote the effects of CBD on a placebo effect (after all, placebos do work anyway), but Dr. Jacknin stresses that true effectiveness can be seen when you’re using a high-quality product. A massage, when paired with quality CBD, can show instant effects when it comes to muscle relaxation. The topical, inflammation-reducing effects, however, can take some time. Just use my JJMD code at www.sophrishealthandwellness.com and get 20% off this great product line! 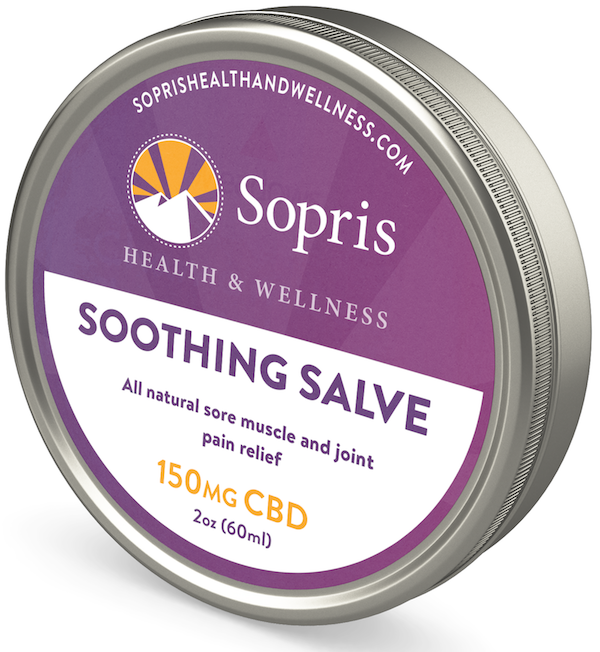 Hi Everyone, I want to tell you about a fantastic CBD brand that I recently discovered…Sopris. I have tried out samples from at least 20 companies over the last 2 years and this has been the most effective by far for me and my friends. You can use the code JJMD to get 20% off at checkout! You can also follow this link https://soprishealthandwellness.com/discount/JJMD and the 20% will be automatically applied! There is also evidence to suggest that dietary hemp seed oil can raise levels in the epidermis and make eczematous skin look more like the fatty acid profile found in ‘normal’ skin. In 2005, Dr. J. Callaway, published a study done in Finland in the Journal of Dermatological Treatment documenting the treatment of eczema using hemp seed oil. Dr. Callaway found that symptoms of skin dryness and itching improved significantly in eczema patients after using hemp seed oil for 20 weeks. Dietary hemp seed oil increased endogenous levels of two essential fatty acids (EFAs), linoleic acid , an omega-6, and a-linolenic acid, an omega-3, as well as boosting levels of linolenic acid (omega-6). In addition, transepidermal water loss decreased, subjective levels of skin dryness and itchiness improved, and the perceived need for medication among patients was reduced. So hemp seed oil can be used together, internally and externally to help with the symptoms of eczema. Hemp seed oil itself has had some success with the symptoms of eczema. As these conditions are characterized by overly dry skin, hemp seed oil can moisturize the skin while avoiding further irritation. In eczema, dry skin occurs due to excessive transepidermal water loss, as persistent inflammation compromises the skin’s ability to act as a barrier. Hemp seed oil may also provide the key to controlling the imbalance that underlies the condition. Its high concentration of polyunsaturated fatty acids (PUFAs) are believed to reduce itching and inflammation better than moisturizers that are low in PUFAs. Linoleic acid in particular is thought to be particularly effective. CBD or Cannabidiol extracts, which are produced directly from marijuana flowers, are up to 15 percent CBD (or 150,000 ppm). So, Currently CBD from hemp plants are usually only 25 parts per million (so 25ppm vs. 150,000 ppm CBD from cannabis flowers). Hemp oil in the Beauty Industry..”New” Again After Thousands of Years. Let’s look at the difference between hemp and marijuana. There is still a lot of confusion about that.